This month’s Blog is entitled ‘Top 5 Practise Tips’. The Summer season has passed now and it’s time to get organised and into a practise routine for the Winter months. I hope this blog will be useful tool in your practise bag! So the new school year has begun, one year older, the school are piling on the homework, there can be many changes to your weekly routine. Footbball may have changed from Mondays to a Thursday, Karate is now on a Wednesday, there are football matches Saturday and Sunday. The week can get crazy with fitting everything in including drum practise. 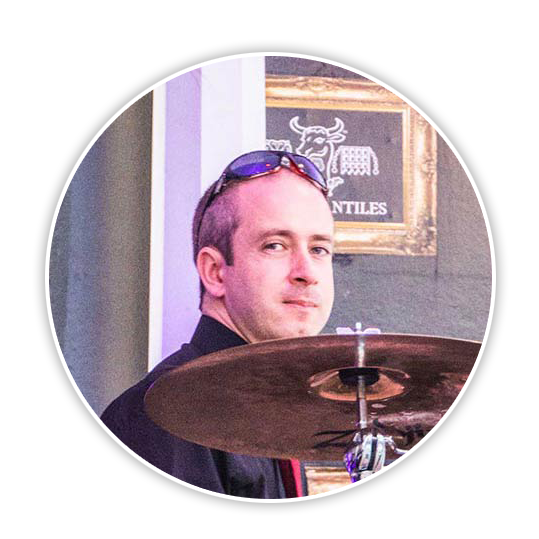 In this Blog we are going to look at my top 5 tips in making the most out of your limited drum practise. 1. Room – Organise your space. Make practise as easy as possible. Have your drum kit set up exactly how you like it. Have your practise diary and pencil on a music stand or table next to the kit. Have your practise notes/songs (whatever you are practising) on your music stand ready to go. Have space on a small table/surface next to the drum kit to put a drink and snack to give you energy for your practise. 2. Write up a weekly practise schedule. 3. Keep a log and make notes on what you should be practising and what you actually did practise. Include as much info as you feel necessary (groove names, rudiments, BPM markings, song titles etc). The easiest way to do this is to use a diary and you can then look back over several weeks and see how you’re progressed! 4. Continuity. Practise most of the same material each practise session. This develops what was learnt in the previous practise session. As you build confidence with this item you can move on to the next practice item or develop the existing item. This builds on muscle memory which improves your technique and speed on whatever you are learning. 5. Structure your drum practise. ALWAYS have a warmup routine, this could be a rudiment, a groove, an idea, some improvisation, you can have a number of warmups but spend 5/10 mins on relaxing into your practise. You can then move onto your main practise theme and finish with something fun, play along with a favourite song, play your favourite groove, whatever it is, reward yourself for your hard work. So I hope that this has been some help in getting back into a practise routine. Have a great time drumming! Join our mailing list to receive the latest news and updates from Sevenoaks Drum School.